Israel Resilience Party chairman defends execution of 2005 Gaza pullout, hints at future evacuations. 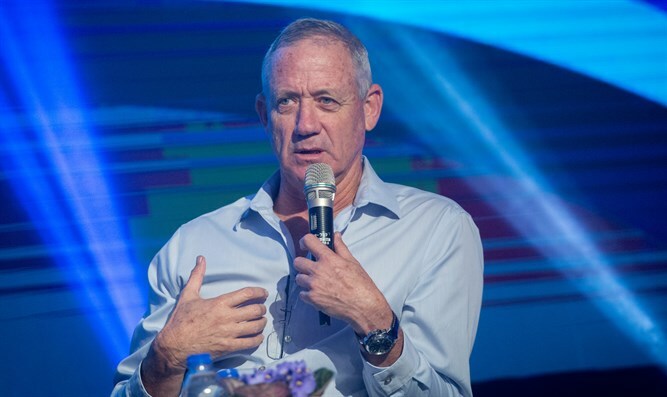 Former IDF Chief of Staff Benny Gantz, now chairman of the Israel Resilience Party, appeared to defend the Oslo Accords and 2005 Gaza Disengagement plan, telling Yediot Ahronot the lessons of the pullout should be applied to other areas. Gantz, who is running on a joint ticket with former Defense Minister Moshe Yaalon’s Telem faction, sat down for a full-length interview published by Yediot Wednesday morning. When pressed on Yaalon’s opposition to the Oslo Accords and the Gaza Disengagement, Gantz appeared to defend both. “The central question is a security question. We need to ensure the State of Israel’s security. Now, we have here a question of interests – and even Bibi [Netanyahu] said this at his Bar Ilan address [in 2009] – that we don’t want to rule over anyone else. We need to find a way for us not to be governing other people. “The [Gaza] Disengagement was carried out based on the State of Israel’s policy concerns. All the sides involved got high scores for the ability to not tear the country apart when [the Disengagement] was carried out. Following Gantz’s comments in regard to the 2005 Gaza pullout, the Israel Resilience Party released a statement playing down the former IDF chief’s support for the Disengagement. In the statement, the party said it would oppose future “unilateral decisions” on settlement evacuations.